Whatever you do, don't leave your vehicle with the keys in the ignition while defrosting the car. Taking that selfie beside the London Eye? Take care with your social media posts and advertising your home is empty. Also, consider investing in a timer to turn your lights on, or asking a trusted neighbour, friend or family member to do this in order to make the property look lived in. Review the most common entry points used by criminals and identify where additional burglary prevention may be needed. Taking basic precautions helps reduce the chance of your home being burgled. 2. External Lighting – good lighting deters burglars. The Parish Council strongly supports the concept and practice of Neighbourhood Watch. In a rural area like Croughton, the police look to the local community for support to control vandalism and crime in the village. There is where Neighbourhood Watch is of great assistance in monitoring and controlling crime. It is vital that residents report incidents when they happen so that they can be reported to the police. 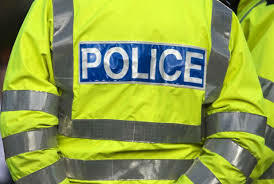 If you hear or see an incident of crime, vandalism, or social nuisance, or if you notice any unusual visitors or habits among young people which might suggest drug use or dealing, or if you hear an alarm going off, please ring the police immediately so that they can ascertain what actions to take. Please do not tackle a suspected criminal yourself.